At the end of 1996 and start of 1997, a “pineapple express” of subtropical storms dumped more than 30 inches of rain onto an already saturated California. With today’s blazing drought in the same state, the torrential flooding this rain caused may seem hard to even imagine. The rising water not only damaged buildings and washed out roads, but it also caused significant runoff problems. The dairy industry’s awareness of the importance of protecting the state’s rivers and streams from runoff was heightened. Over the decade following the heavy rains, California agencies ramped up water and air quality regulations, developing the most stringent dairy environmental regulations in the United States. The challenges arising from the disaster and regulatory changes contributed to the focus of the newly forming California Dairy Quality Assurance Program (CDQAP), a unique collaborative effort among the dairy industry, state and federal government agencies, and the University of California. CDQAP assisted dairy operators in understanding water quality regulatory requirements and best management manure handling practices. As new regulations went into effect for both water and air quality protection, CDQAP ran dozens of workshops to get every producer up to speed and compliant. Since then, CDQAP has continued to help dairy farmers and producers keep track of and comply with the numerous local, state and federal regulations, as well as improve the health of cows, consumers and the environment alike. CDQAP achieves these goals by offering vital industry coordination, key science-based communications, producer-friendly tools, support materials and education, and third-party certification programs under the mission, “compliance through science-based education.” Part of the success of CDQAP comes from its boots-on-the-ground, grassroots efforts: the organization has clocked more than 12,000 in-person contacts, including dairy producer and allied industry classes on air and water quality management. CDQA’s partners include environmental support groups, the California Department of Food and Agriculture, U.S. Department of Agriculture, the U.S. and California Environmental Protection Agencies, water quality control and air resource boards, among many others. The California Dairy Research Foundation (CDRF) has been involved with CDQAP since its inception in 1997. 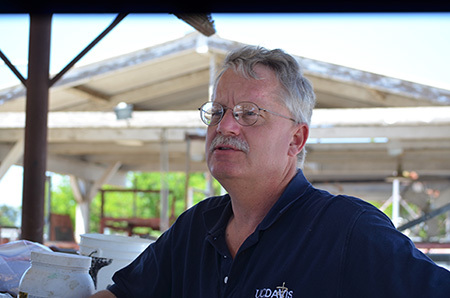 A collaborative research project between the two organizations resulted in a paper that detailed the top issues regarding quality assurance in the California dairy industry. Since then, CDRF provided reliable financial support through producers’ Checkoff Dollars for CDQAP and its core programming. CDRF also helps provide CDQAP with a direct tie to dairy producers, as well as guidance on how to best support the industry in its quality efforts. This has translated into over 37,350 hours of education programs, more than 2,670 producers who have completed the six-hour education requirement, and more than 675 dairies certified across the state. Through CDQAP, CDRF has helped ensure that dairy producers across the state can stay up-to-date on the latest science, regulations and initiatives. CDQAP has continued to evolve with the changing challenges facing the dairy industry, as well as with the development of new initiatives from inside the industry. When dairy producers across the nation launched a new animal care verification program, CDQAP launched new curriculum to help California producers take up the program within the state. The rise of biosecurity and terrorism concerns led CDQAP to develop new programs and support to assist dairy producers prepare and protect against such threats. CQDAP is also helping dairy producers prepare for catastrophic natural animal disease outbreaks. By providing business continuity planning, CDQAP is hoping to mitigate the impacts of outbreaks, such as the foot-and-mouth disease epidemic that pounded Great Britain in the 1990s. With support from CDRF, CDQAP can continue to help the California dairy industry achieve the highest quality in food safety, animal care and environmental stewardship.